People we have worked with privately, in studio, at their home, backstage and on the set. “Thank you! Your actors were 100 % spot on. Thanks so much and I look forward to working with you again in the near future “. “What can be said of Bob Corff? 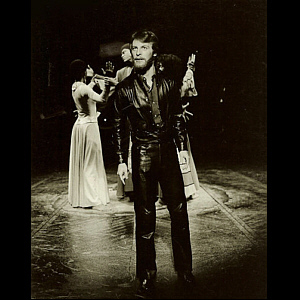 The man I wined and dined – and he still turned us down to play ‘Jean Valjean’ in the Los Angeles production of ‘Les Miserables’! Unbelievable! 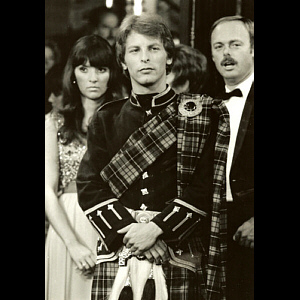 But he still has gained my respect and friendship and has done incredible work teaching my friend Amy Irving to sing – Great! P.S. – maybe the movie??? 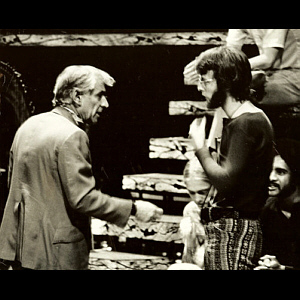 Richard Jay-Alexander Executive Director, CAMERON MACKINTOSH, INC. Many of the biggest name performers and celebrities have chosen Corff Voice Studios to help improve their voices, and now the secrets and techniques given to them are also available to you! Bob and Claire Corff have designed these audio course programs by drawing on their decades of experience teaching thousands of students. As a result, the audio courses are easy to understand and are the most effective way for you to reach your vocal goals. If you want to learn a new accent, improve your singing voice, or add quality to your speaking voice, these audio course programs will show you how. All the programs are offered as a download so that you can listen and practice everywhere you go. Put it on an mp3 player or burn it to a CD and you have the freedom to utilize these audio courses in almost any environment. A hardcopy version is also available. 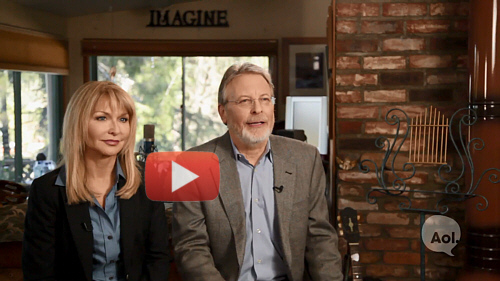 When Hollywood insiders want a vocal problem handled, they call Bob and Claire Corff. Whether it is for Accent Reduction, Accents, the Speaking Voice or Singing the Corff’s have a track record of quick results. Antonio Banderas, Glenn Close, Gwyneth Paltrow, Hayden Panettiere, Vanessa Redgrave, Channing Tatum, Eva Mendes, Kristen Bell, Samuel L. Jackson and Hank Azaria are just a few examples of the many celebrities who come to the Corff Voice studios looking for the best Voice lessons in Los Angeles. Hollywood studios, top personal managers, casting directors, agents and acting teachers all use the Corff’s to get the job done. 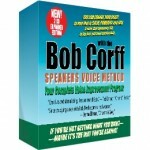 This is because for over thirty years the Corff’s have perfected their Voice Methods into techniques that are not only effective, but easily understood and applied. 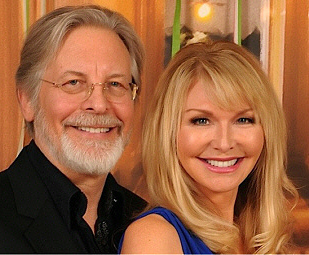 On most days, you will find Bob and Claire Corff teaching voice lessons out of their private studios in Los Angeles, CA which have been specifically designed to help clients leave their stress at the door and learn in a relaxed and comfortable environment. Students know that when they come to Corff Voice Studios, they are not going to be given “generic lessons”. Their voice will be assessed individually and precisely so that a proper plan of action can be taken to help them achieve their vocal goals. Diction, pronunciation, breath control, and vocal power–both stamina and control—are just a few of the areas that will be addressed while taking voice lessons with the Corff’s. Whether students are in search of accent reduction lessons, accent and dialect lessons, speaking lessons, or singing lessons, the Corff’s have developed techniques to ensure all students learn in a way that is best for them. 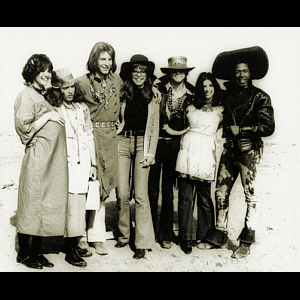 They also give voice lessons on set, on location, backstage, and in recording studios. For people outside of Los Angeles looking for a vocal coach, both Bob and Claire offer voice lessons over the phone or through Skype. Contact Corff Voice Studios here to find out more information or book your next session. For those who are interested in getting a jump on the learning process while practicing on their own, Bob and Claire have created comprehensive audio courses: Achieving the Standard American Accent, The Speakers Voice Method, The Singers Voice Method, and many different Accent Courses. When trying to convey a message to an audience, whether it is through acting, singing, or speaking, the only tools available are how one looks and how one sounds. And while people are willing to go to great lengths to make sure they look their absolute best, very few people put in an equal amount of work to improve the quality of their speaking voice. Anyone who understands this, whether in show business or the business world, will always be one step ahead of the competition. This is why speech and voice lessons at Corff Voice Studios have become some of the most highly sought after vocal lessons in Los Angeles. The techniques and exercises will give your voice color, range, strength, and stamina. Relaxation, breathing, and articulation will be greatly improved, giving you vocal confidence. The clients of Bob Corff and his wife Claire, like Channing Tatum, Ted Danson, and Kim Cattrall, have gone on to become some of the biggest celebrities in the business. The Corff’s have spent over three decades developing speaking techniques that help speakers improve the sound and quality of their voice. While taking speaking lessons at Corff Voice Studios, students will learn to speak more clearly and learn to discover the true power of their voice. These speaking techniques are not just for public speakers, actors, and singers, but are for any individual who would like to make a greater impact when they speak. Corff Voice Studios offer speech and voice lessons in the studio in Los Angeles, CA. For speaking lessons for people located outside of L.A., skype and phone speaking lessons are available. 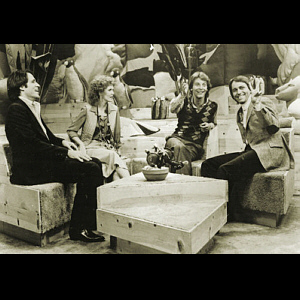 Bob and Claire are also available for on set vocal coaching. Contact Corff Voice Studios here to inquire about private speaking lessons. For anyone trying to improve their speaking voice from home or on the move, Bob and Claire Corff have designed The Speakers Voice Method, a comprehensive audio course designed to help anyone improve the quality of their voice. 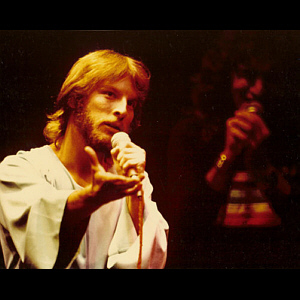 It is no surprise that Bob Corff became one of the most sought after singing coaches in Los Angeles. 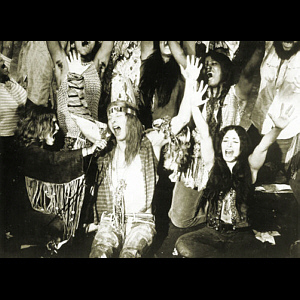 After being the lead singer in a rock band, doing the leads in three Broadway musicals, and singing in over 104 episodes of a television variety show, Bob can teach singers and aspiring singers basic voice technique to full show performance. This includes microphone technique, body movement, and stage presence. Corff has spent over three decades developing techniques to help singers keep their voices strong and healthy. While taking singing lessons at Corff Voice Studios, students learn to increase their range and quality of their singing voice. Students learn singing techniques for proper breath control, vocal power, and correct pitch. Corff Voice Studios offers singing lessons in studio in Los Angeles, CA. For aspiring singers located outside of LA, singing lessons over the phone and singing lessons through Skype are available. Bob and Claire are also available for on set vocal coaching. Contact Corff Voice Studios here to inquire about private singing lessons. For anyone trying to improve their singing voice from home or on the move, Bob and Claire Corff have designed The Singers Voice Method, a comprehensive audio course designed to help anyone learn to sing, from beginners to experts. 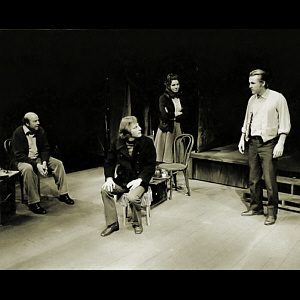 Bob and Claire Corff have over three decades of experience helping actors learn a new accent. Whether an American student wants to learn a foreign accent, or has a regional dialect and wants a more Standard American Accent, or a student outside of the U.S. wants to learn the Standard American Accent, Corff Voice Studios offers the best accent/dialect coaching in Los Angeles. More and more actors are coming to Hollywood, CA in hope of becoming stars. One of the most common things they must do when they first arrive is learn how to reduce their foreign accent, or in other words, learn how to do a Standard American Accent. Djimon Hounsou, Ray Stevenson, and Dania Ramirez are just a few of the many celebrities who have taken accent reduction lessons at Corff Voice Studios. 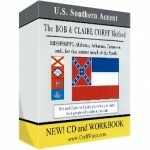 The Corff’s have developed such effective dialect coaching techniques that their audio course “Achieving the Standard American Accent” is Hollywood’s best selling accent reduction course. Contact Corff Voice Studios here to inquire about accent reduction lessons. When an actor learns a new accent/dialect, they have increased their chances of booking a role by increasing the possibilities available to them. It is no surprise then, that when celebrities like Hank Azaria, David Schwimmer, and Gwyneth Paltrow are looking to learn a new accent they take their accent lessons at Corff Voice Studios. These are just a few of Corff Voice Studios’ celebrity clients who have undergone dialect coaching with Bob and Claire. The accent and dialect coaching techniques used at Corff Voice Studios have been designed to help actors and business people learn to speak a new accent/dialect with speed, precision, and accuracy. The principles of pronunciation, stresses, melody, and placement will be explained and taught in a way that is easy to learn and understand. 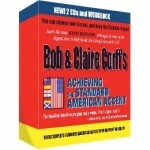 Bob and Claire have been so successful at teaching new accents and dialects that they have authored some of the best selling accent audio courses in Hollywood. 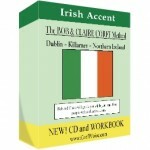 Contact Corff Voice Studios here to inquire about accent and dialect coaching. Corff Voice Studios offers accent and dialect coaching in the studio in Los Angeles, CA. For aspiring actors located outside of L.A., accent and dialect coaching over the phone and accent/dialect coaching through Skype are available. Bob and Claire are also available for on set accent and dialect coaching. Contact Corff Voice Studios here to inquire about private dialect coaching. Being on a film or television set is a unique and fun experience. For those involved in the production, it is also a great deal of work. Bob Corff and his wife Claire have both acted in front of the camera and so they know firsthand just how much preparation and concentration go in to each scene. It is because of their ability to relate to the actors that the Corff’s have become two of the best on-set voice coaches in the industry. David Schwimmer (Friends), Ray Stevenson (Punisher: War Zone), Sarah Polley (Splice), and Julie Benz (Dexter) are just a few of the celebrities that have used Bob & Claire Corff as on-set voice coaches. Bob and Claire use the voice techniques that they have developed over the past thirty years, coupled with their extensive on-set experience, to ensure that all the actors they are working with are relaxed, focused, and ready to deliver when the cameras start rolling. The Corff’s do whatever is needed: they work with actors in the hotel and on the actual set using a headset to listen in on the scene to ensure that the actor’s voice is strong and that the accents are flawless. Contact Corff Voice Studios here to inquire about on-set coaching. Voice coaching is not limited to people living in Hollywood. In fact, Corff Voice Studios have been teaching voice lessons to people outside of L.A. for years. Because of their experience, Bob and Claire Corff have developed effective techniques for identifying and improving peoples voices both over the phone and through the online program Skype. Corff Voice Studios offer all lessons in studio, over the phone, or through Skype, no matter whether the students are in search of accent reduction lessons, accent and dialect lessons, speaking lessons, or singing lessons. Even students who typically take their private voice lessons in studio can continue their lessons when they need to travel outside of Los Angeles or can’t make it in to the studio. Contact Corff Voice Studios here to find out more information or book your next session. Anne Cohen talks with dialect coach Bob Corff about what it really takes to learn and master a foreign dialect. Read the article. Vulture asks in-demand dialect coaches Bob and Claire Corff which foreign actors deliver consistently convincing American accents… Read the article. 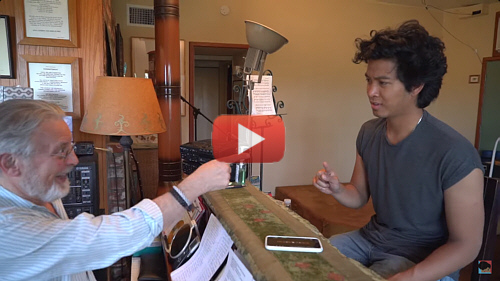 Bob talks about Skype voice lessons offered at Corff Voice Studios. Read the article. Bob Corff shares vocal tips. Read the article. 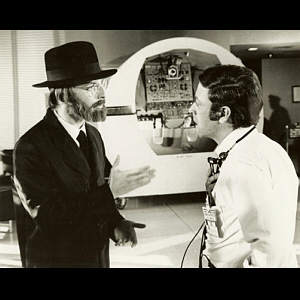 View Bob’s IMDB Link here. 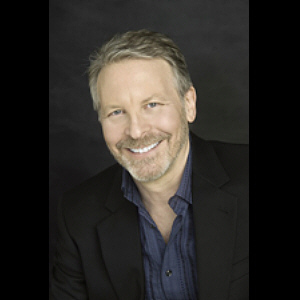 Bob Corff has solidified himself as one of the best dialect coaches for actors, one of the most popular voice coaches for speakers in all fields of work, and one of the most successful vocal coaches for singers at every level. He has developed a successful line of audio courses that help actors learn a dialect, learn to get rid of an accent, learn to sing, and also improve their speaking voice. The list of celebrity clients he has taught ranges from Lenny Kravitz to Gwyneth Paltrow and just about everyone in between. 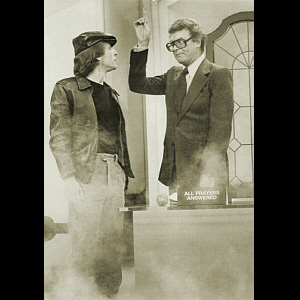 Becoming one of the most successful voice, dialect and speaking coaches in the country wasn’t always his plan, however. When Bob Corff was born in Reading, Pennsylvania, nobody could have guessed that he would grow up to become the premier voice and dialect coach in Los Angeles. The Corff family had no inherent ties to the entertainment industry, neither acting nor singing. However, the family migrated west and Bob spent much of his childhood in California. 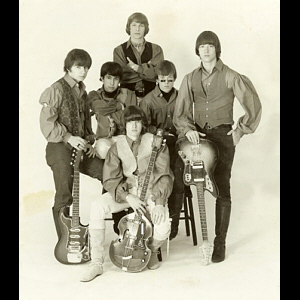 It was here that he realized his desire to become an entertainer, and like so many college-age students, he started a rock-and-roll band: “The Purple Gang.” After appearing at the grand opening of a local service station, they were offered a contract with MGM records. 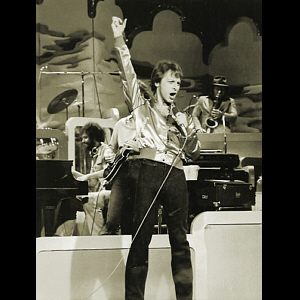 Bob never gave up his love for the stage, nor did he give up his love for singing. 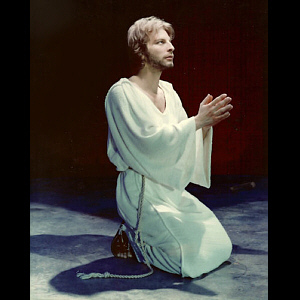 He performed roles as both an actor and singer in a number of extremely successful stage productions, including Jesus in “Jesus Christ Superstar” and Danny Zuko in Broadway’s production of “Grease.” One of his fondest memories was working personally with Leonard Bernstein in “Mass,” which was just one of three plays that Bob performed at the prestigious Mark Taper Theatre in Los Angeles, California. Corff was twelve years into his acting career when a friend asked him to help her learn to sing and he found a new passion: vocal coaching. Despite all his success as an actor and singer, voice coaching was where Bob Corff truly excelled. He had a unique approach to the work and because he knew exactly what it took to be a successful singer and a successful actor, his reputation spread rapidly among actors in Hollywood. He soon developed a reputation as the best voice coach in LA and began working with a list of celebrity clients that includes Sally Field, Elijah Wood, Jennifer Aniston, Antonio Banderas, and even Mariah Carey. 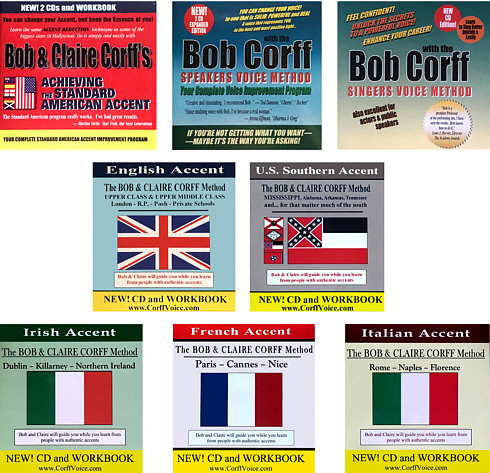 Bob Corff currently teaches private voice lessons out of his studio in Los Angeles, California, and thanks to the advances in technology in recent years, he has developed a system for providing voice and dialect coaching for people outside the Los Angeles area. He often travels to film sets as an on-set voice coach for celebrities and new actors alike. His passion for vocal coaching continues to grow with each passing day and with every new student he helps. Claire Corff may have started as an apprentice to world-renowned voice coach Bob Corff, but she quickly developed into a great voice coach in her own right. She has since become the co-founder of Corff Voice Studios as well as the co-author of “Achieving the Standard American Accent” and a number of different accent audio courses. Most of the students she has taught through both private lessons and on-set dialect coaching would not guess that this master dialect coach was actually once so shy that her mother forced her into an acting class just to break out of her shell. Claire was born the middle child of seven children in Steinbeck Country, to an Evangelical Minister father and a Housewife mother. 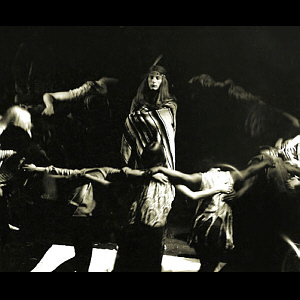 Her mother enrolled young Claire at the Carmel Conservatory to take dancing and acting classes. She was a natural acting talent and soon began to win numerous acting awards and was later accepted to the prestigious Cal Arts as a theater major. While studying at Cal Arts she guest starred in episodic TV shows, several television pilots, feature films, and booked dozens of commercials. It was early in her professional acting career that she met the popular voice teacher Bob Corff and her plans quickly changed. Bob’s passion for voice and dialect coaching sparked Claire’s own love for teaching voice lessons and she left her acting career behind to become a Los Angeles based dialect coach. 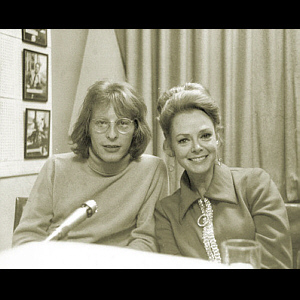 Building on her previous studies of phonetics, years of voice lessons, and having played many roles that required learning a foreign accent, she apprenticed Bob in his teaching for a number of years before she gradually started teaching herself. She is currently teaching private voice lessons at Corff Voice Studios, accent reduction classes at the prestigious Strasberg institute, and continues to work with Bob to develop new audio courses so anyone can learn a new accent. Can I download your audio courses to my phone or tablet? 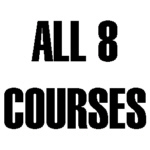 Do you have instructions on how to purchase, download and install your audio courses? I was told that my voice is disconnected/weak/etc. Can you hear it and fix it? Can my voice really change? You can, but first you need to download the packaged ZIP file to a Mac or PC; unZIP the file into the many MP3 tracks, then transfer the MP3s to your mobile device using iTunes or other media transfer application. Yes. We have step-by-step guides for both MAC and WINDOWS users that walk you through the entire process. Corff Voice Studios are located in Los Angeles, CA but on-set voice coaching and phone skype voice lessons are available for people outside of Los Angeles. Pricing depends on needs. There are different prices for private voice lessons, on set coaching, and comprehensive audio courses. Contact Corff Voice Studios here for more information about pricing. There is no way to tell how many voice lessons are needed without knowing your experience level, how quickly you learn, and your ultimate goals. The one constant for all students, including all celebrity clients, is that the more you practice, the quicker you will achieve your goals. This is entirely up to you! The more work you put in to developing your voice the faster you will see results. 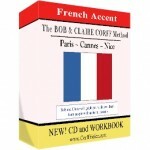 You can speed up the process with one of Bob and Claire Corff’s audio courses for accent reduction, accents and dialects, the speaking voice, or the singing voice. Practice makes perfect, but even more importantly, perfect practice makes perfect. The techniques used at Corff Voice Studios have been developed over three decades by both Bob Corff and his wife Claire. Both Bob and Claire have been in front of the camera and know what performers go through and have been able to use this to develop techniques that are easy to understand, easy to apply, and easy to duplicate. Contact Corff Voice Studios here for more information. It depends on your goals. You can get a basic start on your own with a comprehensive audio course that allows you to practice everyday. 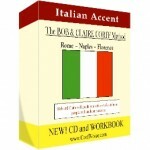 Corff Voice studios offers audios courses for accent reduction, accents and dialects, the speaking voice, and the singing voice. If you want to perfect your techniques, however, you should follow in the footsteps of the many celebrities of Corff Voice Studios and look into taking private lessons. Contact Corff Voice Studios here for more information or to set up your private voice lessons. If you’ve been told by a professional that your voice is holding you back, chances are that you need to work on your voice. There can be a number of different problems associated with your voice. Voice lessons at Corff Voice Studios are individualized and specific to you and your voice needs. Bob and Claire Corff have developed techniques to help you identify your vocal problems and develop a plan to fix them. Contact Bob and Claire here for help identifying your vocal problems. Absolutely! The secret to making your voice more powerful, perfecting a dialect, or improving your singing ability is practice. Taking voice lessons from Corff Voice Studios will teach you the proper techniques to change your voice in a quick, precise manner. You can even start on your own with an audio course for the speaking voice, the singing voice, accent reduction, or accents and dialects. 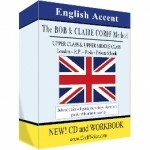 Bob and Claire Corff have spent decades perfecting these audio courses that are meant to help you learn an accent, improve your singing or speaking voice, and more importantly… GET THE JOB! 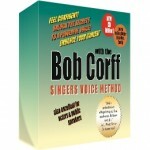 No other audio courses have been designed to be as effective or as easy to use as those offered by Corff Voice Studios. Should you require assistance for the purchase, download or installation of any of the Corff Audio Courses, please select the appropriate MAC or WINDOWS step-by-step help document. \"Thanks, Bob! You make it fun.\"
Decades of experience have gone into the techniques taught at Corff Voice Studios. Bob and Claire Corff have designed the most easy-to-use and effective audio courses in the industry. Whether in studio, on set, or outside of Los Angeles, Corff Voice Studios offers vocal lessons for everyone.